No details as yet but this was posted on the Perth Military Modelling website. 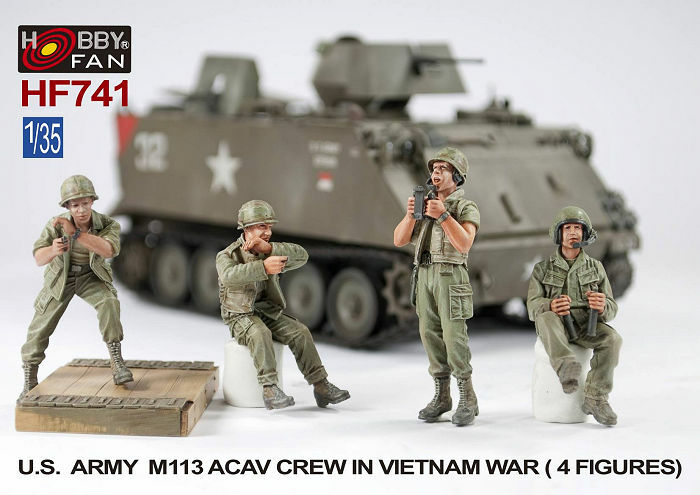 A great accessory to go with any 1:35th M113 ACAV. Note: Hobby Fan are the parent company of AFV Club. If you are having problems finding where Hobby Fan items are sold, any shop which stocks AFV Club kits should be able to get Hobby Fan from the same distributor. Some shops don’t carry stocks of Hobby Fan due to the cost factor but should be able to obtain it.